An ideal site on US Hwy 98 to construct your new business location. This 5.67 +/- acres site is available and worthy of your consideration. Hwy frontage of 330 feet will provide plenty of visibility for the volume of potential customers that traverse Hwy 98 daily. 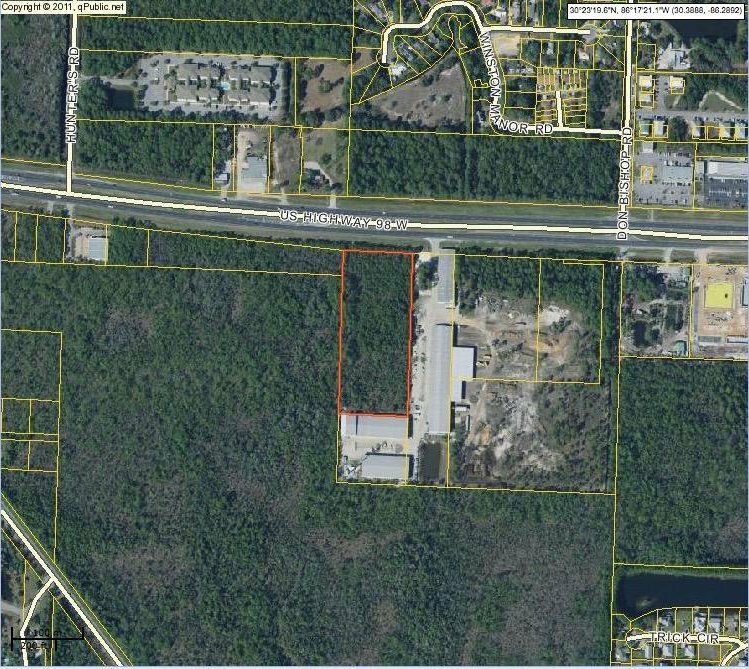 Recent commercial development with major anchor stores like Walmart and Publix have found this area of Hwy 98 to be ideal for business from the increase in residential development. Information contained within this listing such as lot dimensions or square footage, is deemed to be accurate but, is not guaranteed. Buyer to verify.